Head Shot Mania is back by popular demand! 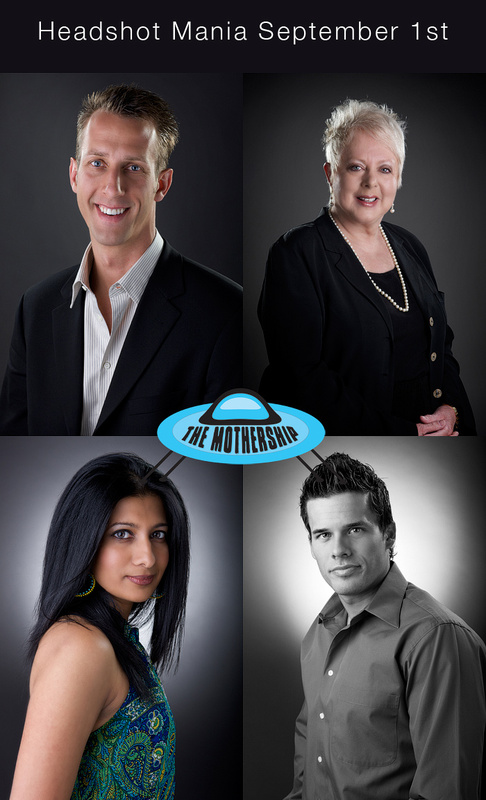 We'll be kicking the first day off at our new studio, THE MOTHERSHIP September 1st, 2011. So if you're looking for some amazing head shots to use to represent yourself, we'll be offering these shoots all day long to accommodate everyone's schedules. All you have to do is schedule an appointment and show up looking good and we'll do the rest. $100.00 gets you the quick session along with 2 high resolution retouched digital files to do with what ever you want, perfect for real estate agents, loan officers, bank folks, hair dressers, models, actors, zed cards, avatars, facebook profile pics, personal use, whatever you can dream up. To set up your headshot mania shoot on September 1st, 2011, drop Trish a call @ 702.809.4878 or email trish@studioatg.com and we'll schedule your time slot. And if you're looking for a Las Vegas Head Shot Photographer on a different date, just give us a shout to schedule.